Описание: Короткий интенсивный курс для подготовки к академическому модулю международного экзамена английского языка IELTS. Учебник содержит восемь уроков, сфокусированных на тренировке ключевых компетенций, необходимых на экзамене. Каждый юнит содержит практический тест в формате IELTS. IELTS for Academic Purposes - is a concise, user-friendly course designed to be used intensively in the weeks and months prior to the exam. It is ideal for both classroom-based learning and self-study. The core material provides approximately 40 hours of instruction, while a number of different reinforcement and extension options are provided in the other course components. 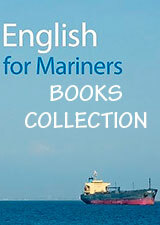 The Student’s Book consists of 8 topic-based units, focusing on the development of key exam skills tested in the IELTS Listening, Reading, Writing and Speaking modules. Each unit also contains an exam practice section, which allows students to apply their exam skills in an IELTS-style context. 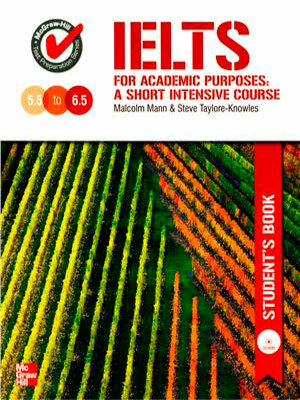 The Student’s Book also offers a complete end-of-course practice test covering all four IELTS modules, plus reference sections for grammar, vocabulary, skills, model compositions, and a sample IELTS answer sheet and report card. The book is for students aiming for a minimum bandscore of 6.5..
- Systematic development of key exam skills and techniques.